Yvonne was born in Chicago, Illinois. She moved to Casselberry when she was in the 5th grade. She attended Oviedo High School and graduated from Orlando College with an AS Degree in Business. ​Yvonne started her career in the medical field. 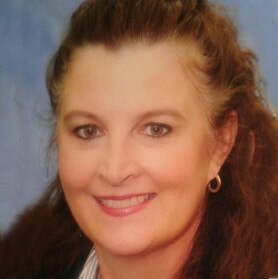 She can work every aspect of a medical office after she obtained her AS Degree in Medical Assisting. As a Registered Medical Assistant she landed her dream job working for a solo Family Practice physician for 10 years. Once he retired, Yvonne changed careers and began her journey in Insurance. She was a top producer obtaining Top Gun recognition and her CLTC designation. Yvonne found a better opportunity at FLA and achieved Top Producer in April and December 2016. Some of her biggest accomplishments include qualifying for National Convention 2017, being promoted to Unit Field Trainer and being in the top 1% in her office. Yvonne currently lives in Casselberry with her grown daughters and her rescue dog Bentley. Yvonne enjoys reading, watching football and spending time with her family. ​"Jimmy B. and his associate Yvonne took the time to find the best policy that works for me and my family at the price for our budget. They will meet with you anywhere that is convenient for you. I highly recommend choosing Jimmy B. to help you find the best policy for your life Insurance."